Frances Hatch and her party have just finished their Land Marks Walk during which students made beautiful little memory pieces from the materials they gathered in the sunshine on West Bay beach this morning. 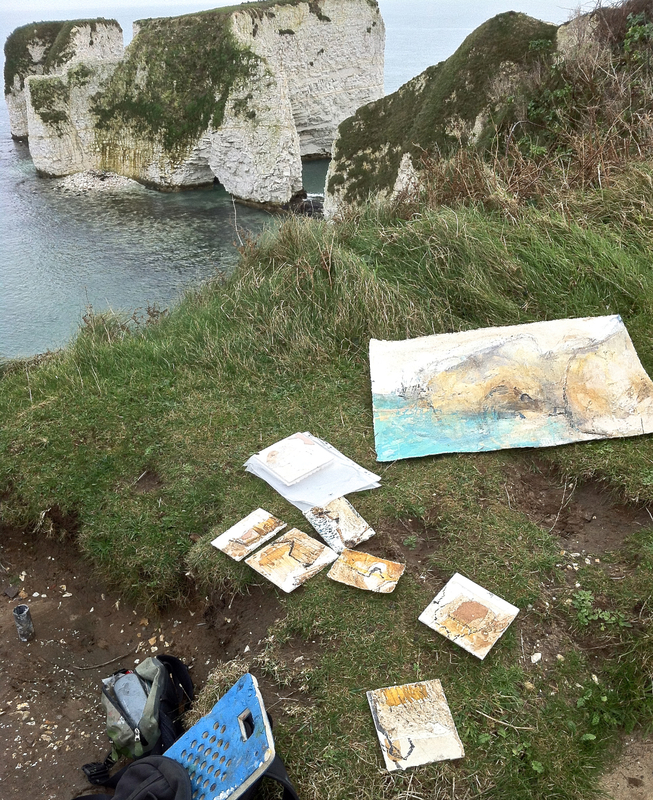 Frances told us the story of her painting Coccolith Cloud, showing how the story of the materials in her work, in this case chalk, feeds into her impression of the place and is then re-activated in the creation of her painting which in turn records that impression of her time there. The painting was made onsite over several months and slowly. Many sketches and ideas contributed to it. Sunshine on the sea over the ‘pallid’ sea bed creates the thrilling turquoise colour. The idea of many different views of the same place is also informed by the idea of the creation of the Earth’s crust. The multiple profiles of Handfast point in the image is the consequence of the imagined inhale and exhale. 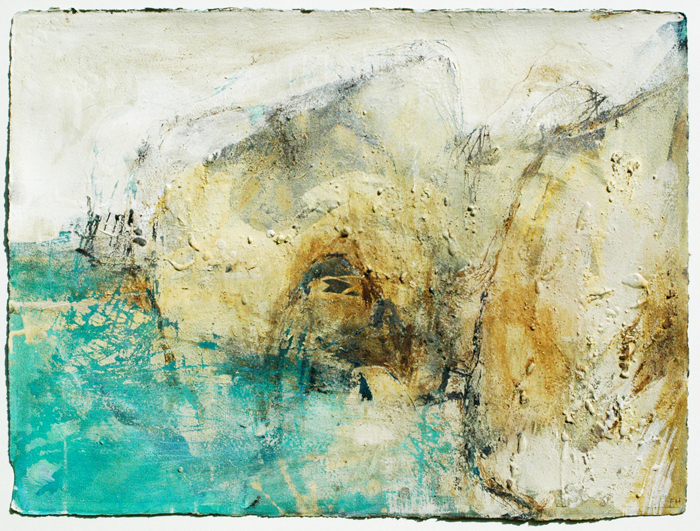 Please click here to view Frances Hatch’s work in the exhibition. This entry was posted in Exhibitions, Gallery, Latest News and tagged chalk painting, Coccolith Cloud, Frances Hatch. Bookmark the permalink.